The Korean writung system (known commonly in Korea as Hangul) is a simple and modern writing system created by Sejong the Great around 1443. 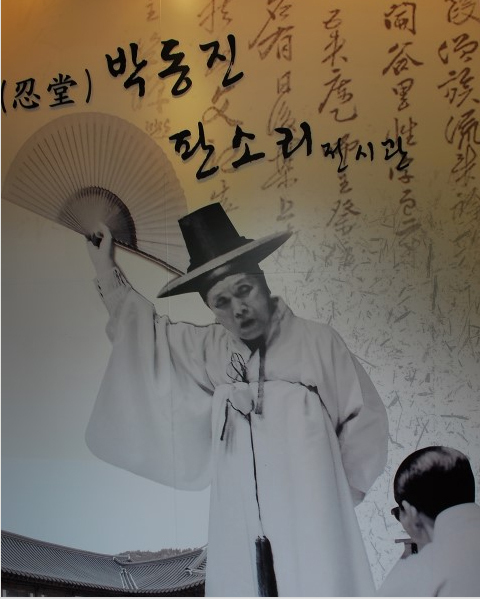 Sejong the Great was a forward thinking king and believed that all Koreans and not just the educated elites should be able to read and write. He believed that the imported writen language from China (called hanja) to be far too complex for the average person to learn quickly. 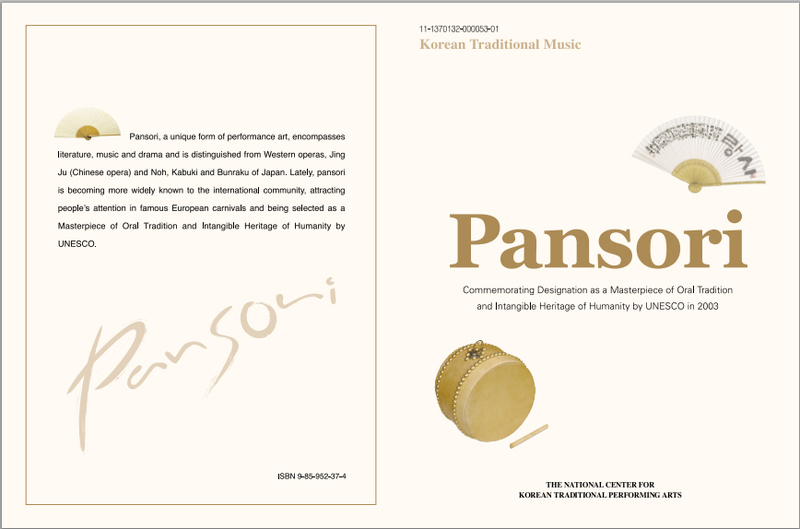 He believed that hanja being a foriegn script and did not acurately reflect all of the nuances of the Korean language. This fantastic quote form King Sejong’s proclamation on the new writing system sums up his desire and reasons for creating Hangul. Hangul faced opposition by the literate elite, such as Choe Manri and other Confucian scholars in the 1440s, who believed hanja to be the only legitimate writing system, and perhaps saw it as a threat to their status. 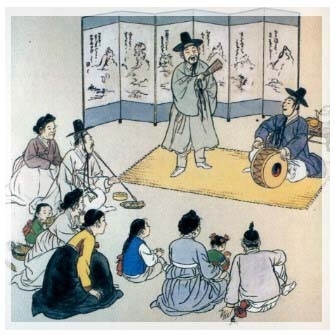 However, it entered popular culture as Sejong had intended, being used especially by women and writers of popular fiction. 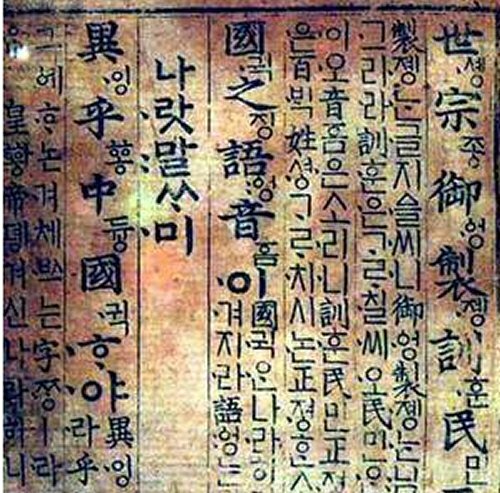 Today Hangul uses 24 of the original 28 characters and is written in blocks. Each block consists of a sound of a syllable and each block can hold a maximum of four characters, this makes Hangul a very efficient writing system. Hangul is praised for its easy learning curve and most foriegners can learn Hangul in a matter of only a few hours of study. Due to Hangul’s simplicity it is no surprise that in Korea illiteracy is almost unheard of. 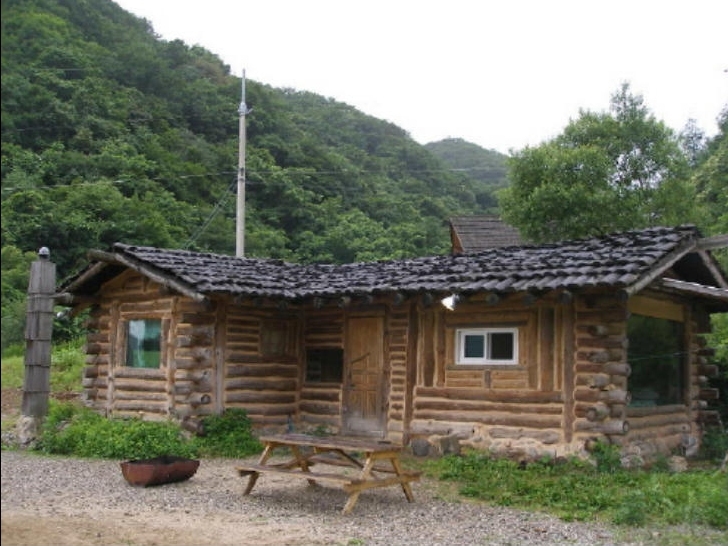 A Korean house is built with a rooms and a big wooden floor in the center. 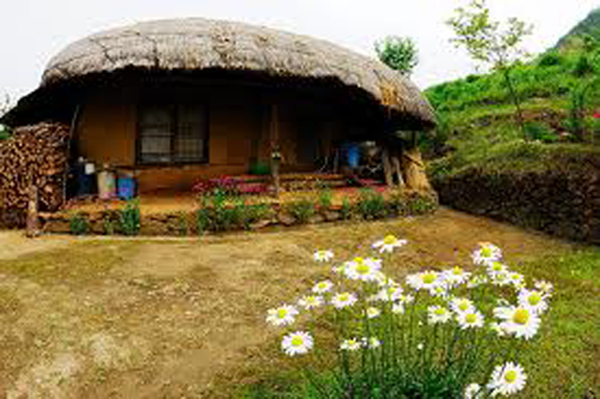 Houses from other lands are usually simple frame houses but they have either rooms only, or just a wooden floor. In Northern regions houses are closed private homes called “umjib” and in Southern regions houses are open and are in a hut-like form. 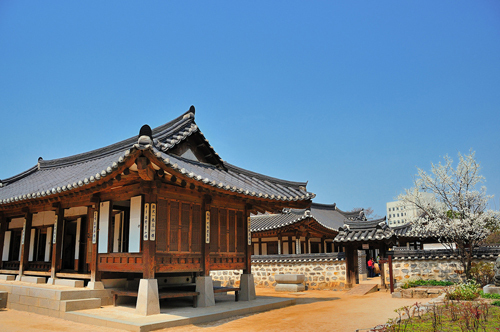 You can easily spot traditional houses in Kahwaedong. It used to be a wealthy district where aristocrats used to live. explore and be amazed how this traditional site can be situated along with modernized buildings. 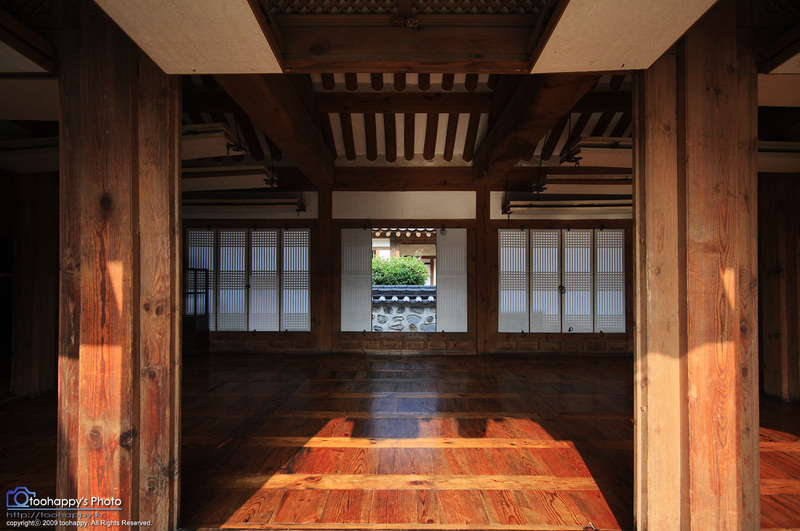 The wooden floor was made to store grains and link rooms. 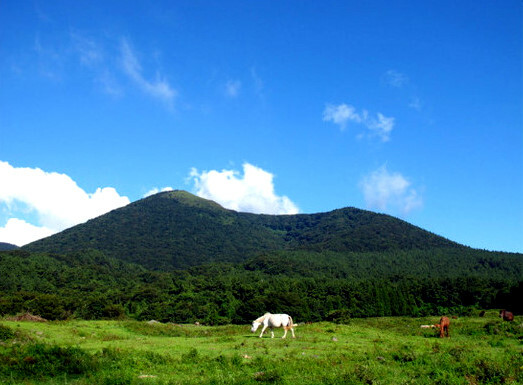 It was also used as a place of sacrificial ancestral worship. To avoid the humidity and heat during the summer, the wooden floor is made so it doesnt touch the ground. So it helps ventilation in the house. 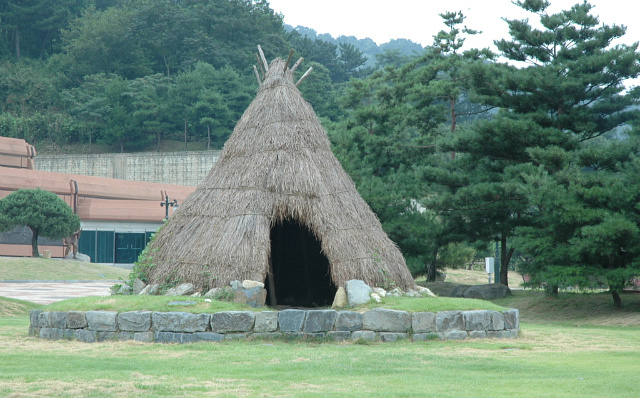 It is not known exactly why and how the “maru” came to be, but scholars say it was to prevent the heat in southern areas of Korea. Its key use was to help ventilate the house. 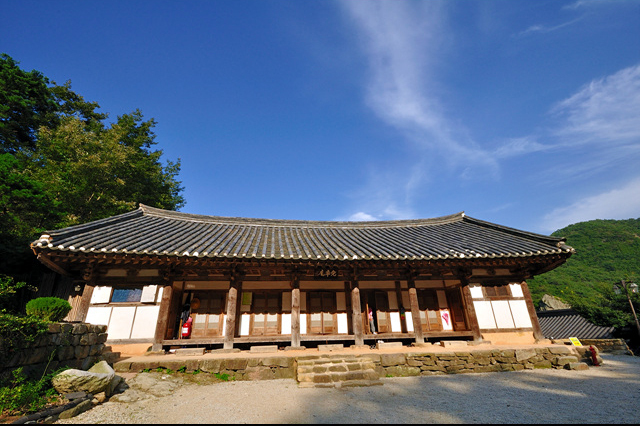 Made by putting mud over under-floor heating stones, “ondol” is a main feature of traditional Korean houses.Iflighted on the morning and evening, it witheld a pleasant l5 degree Celcius. This shows that the “ondol” system is quite based on scientific terms. These days steam heating is used more than ‘ondol’. 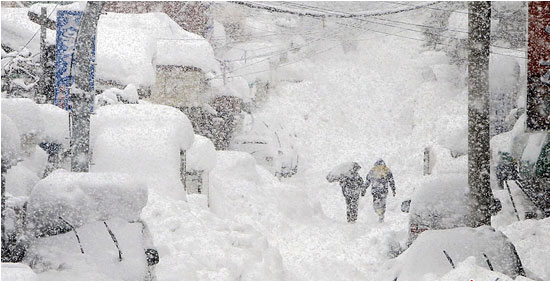 If you look closely atKorea’s roofs, you’ll see the no roofs are flat. Almost all are in shapes of curved lines and surfaces. 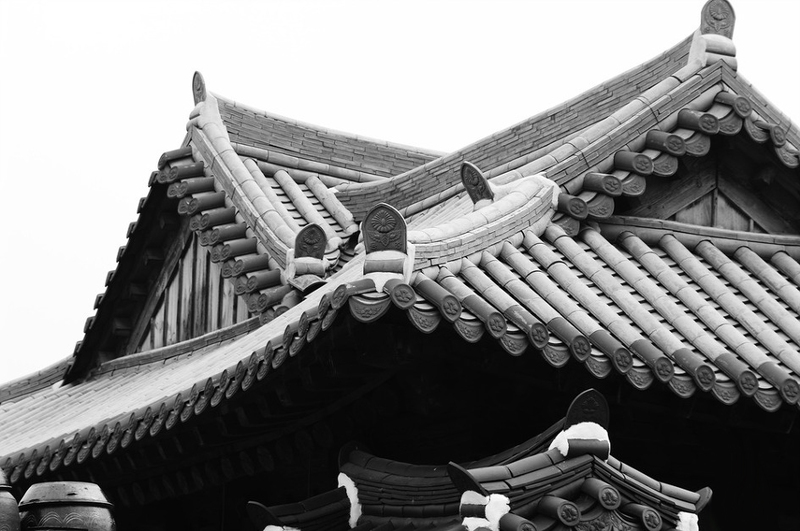 The curves of the roof shows the originality of Korean architecture. It is not known when tiles were first used. 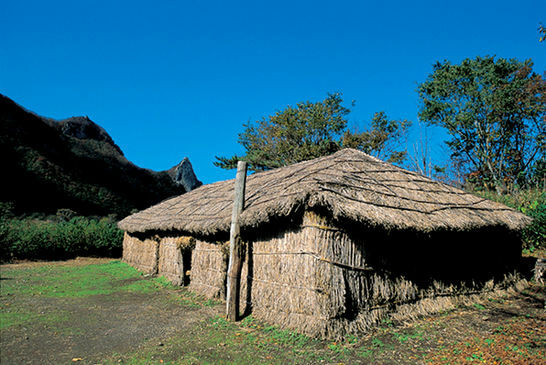 Before using tiles (kiwa) people had used plates of wood and bark but most were covered with bundles of grass. The tiles were made so the roofs could be slanted and was useless in making flat roofs. If the angle of the roof was exact, it was easier to drain away rain water. 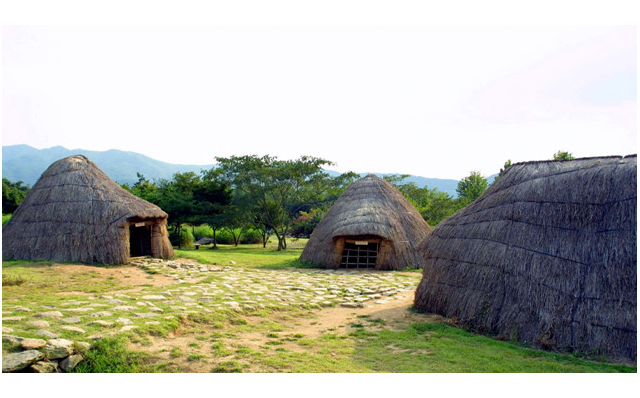 The size and shape of the tiles affected the angle of the roof and the angle is determined by the weather conditions of a cenain region.The kiwas or tiles, were made of clay from the rice paddy fields.Different shapes and sizes were used for each different places of the roof. 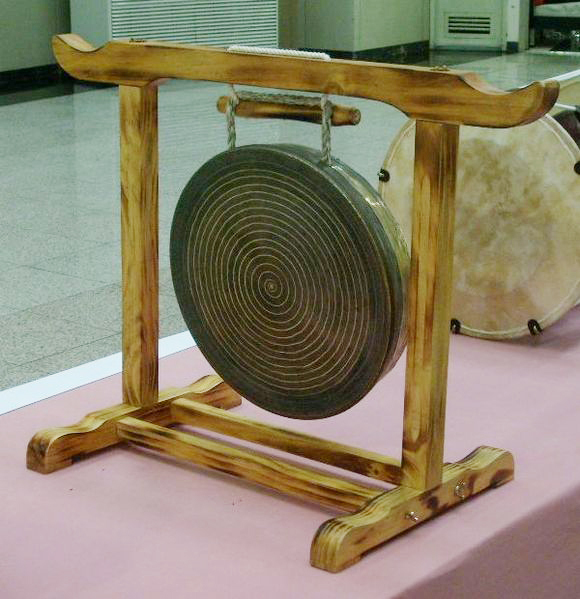 Makjib is made from Tree branches and leaves, leather in Siwon Dynasty. Semi-basement is made by thatch to over it. 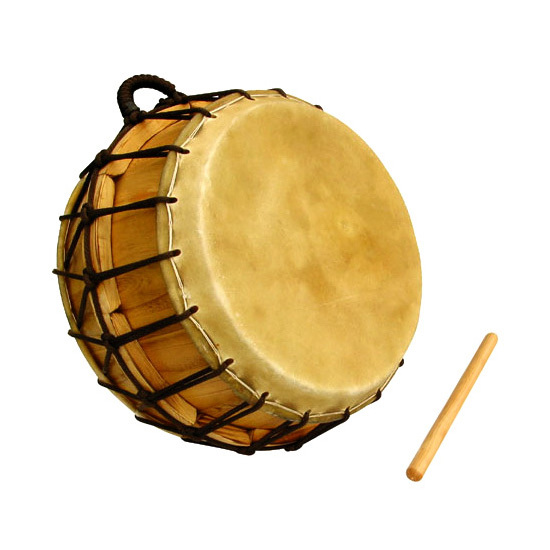 In it is used from from the Neolithic to the Bronze Age. 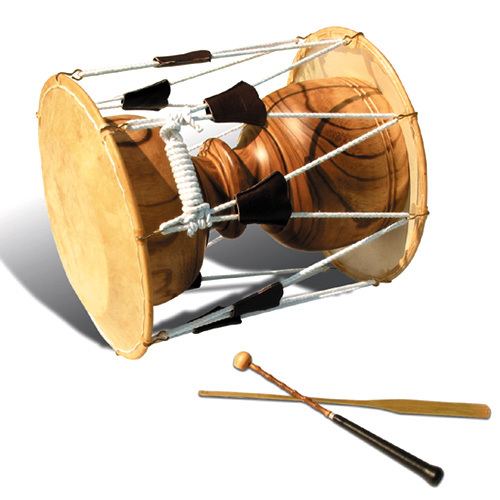 Choka Jib is made from rice straw or reed. Kiwa is made from roasted refined clay and tiles. Neowajib is made from a collection of red pine bark roof. Kwitueljib is faked to made from logs. Korean New Year (Seollal) is the first day of the lunar calendar. It is the most important of the traditional Korean holidays. It consists of a period of celebrations, starting on New Year’s Day. 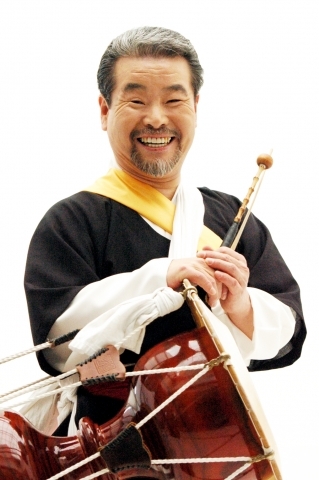 Koreans also celebrate solar New year’s day on January 1 each year, following the Gregorian Calendar. The Korean New Year holiday lasts three days, and is considered a more important holiday than the solar New Year’s Day. Korean New Year is typically a family holiday. The three-day holiday is used by many to return to their hometowns to visit their parents and other relatives where they perform an ancestral ritual. 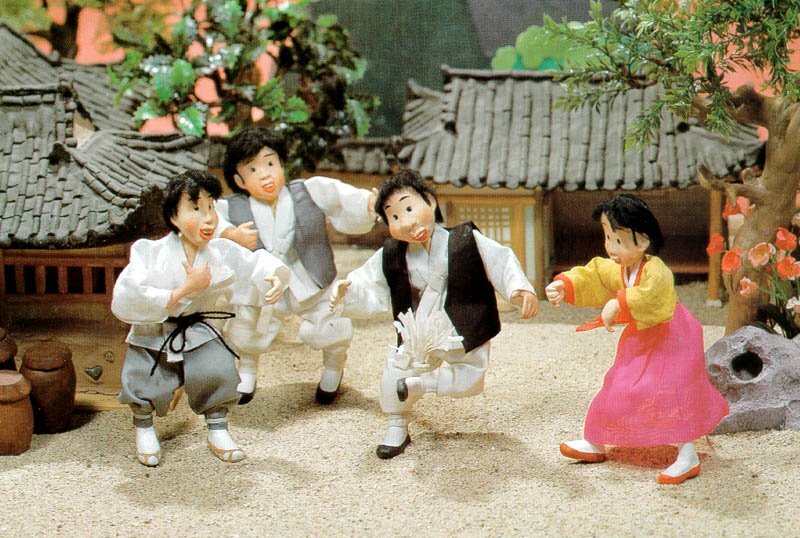 Many Koreans dress up in colorful traditional Korean clothing called Hanbok. But nowadays, small families tend to become less formal and wear other formal clothing instead of Hanbok. 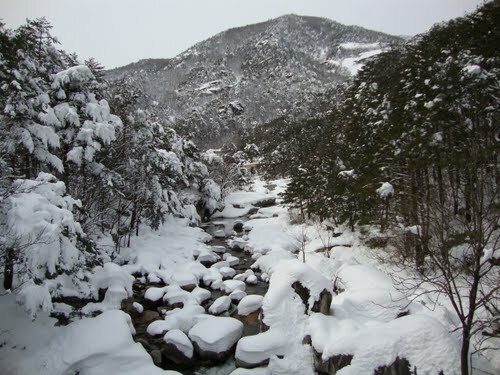 Many Koreans greet the New Year by visiting East-coast locations such as Gangnueng and Donghea in Gangwon province, where they are most likely to see the first rays of the New Year’s sun. Korean people always eat Tteokgugk on New year’s day.Tteokguk (떡국) (soup with sliced rice cakes) is a traditional Korean food. 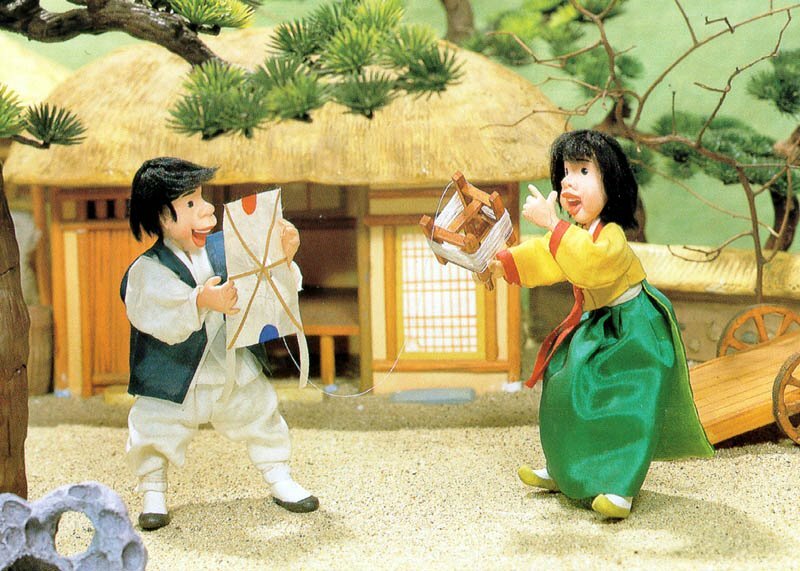 Many traditional games are associated with the Korean New Year.The traditional family board game yutnuri (윷놀이) is still a popular game in now days. Yut Nori is a traditional board game played in Korea, especially during Korean New Year. Traditionally men and boys would fly rectangle kites called yeonnaligi(연날이기) in New year’s day also. 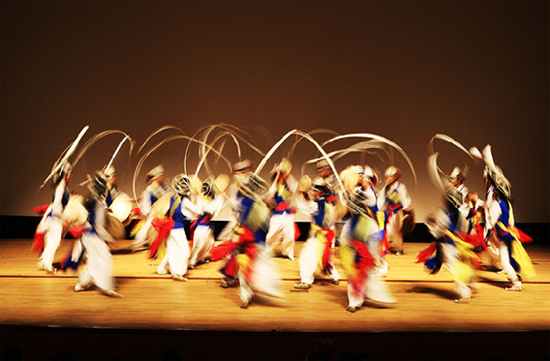 , and play jegi chagi (제기차기), a game in which a light object is wrapped in paper or cloth, and then kicked in a footbag like manner. Kimchi representsKorea’s best known food. Koreans serve kimchi at almost every meal, and few Koreans can last more than a few days before cravings get the better of them. 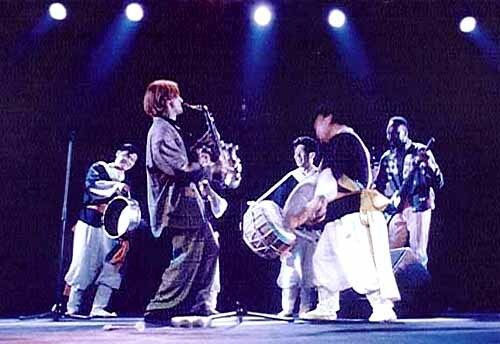 During the 1988 Summer Olympic Games, thousands of foreigners were introduced to it for the first time. Despite a reputation for being spicy, most people usually develop a taste for it, and many foreigners also find themselves missing it after returning to their home country. Many Koreans at the time of Si-Kyong lived in the Manchurian region, and it is believed that they made kimchi to preserve the vitamins and minerals in vegetables for the long, cold winters in Manchuria. 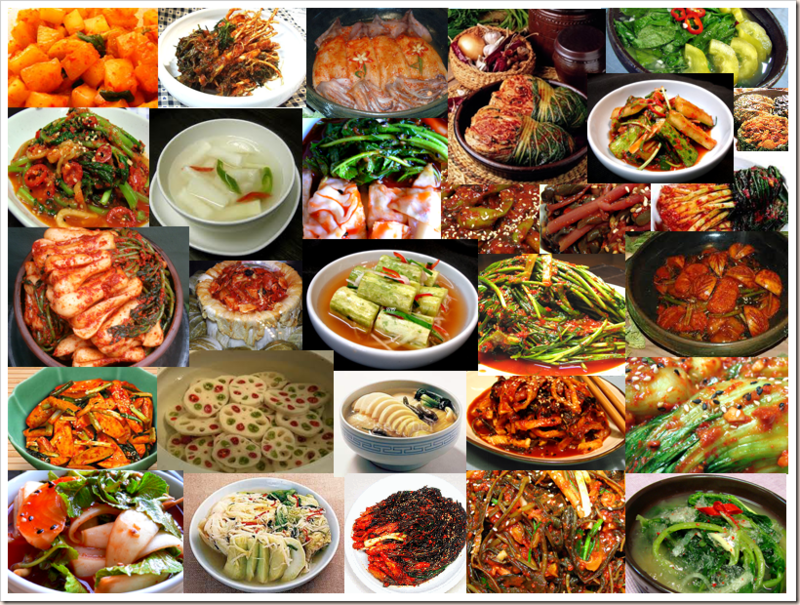 The first record found regarding kimchi is during the Three kingdom period (57 B.C. – 668 A.D.). 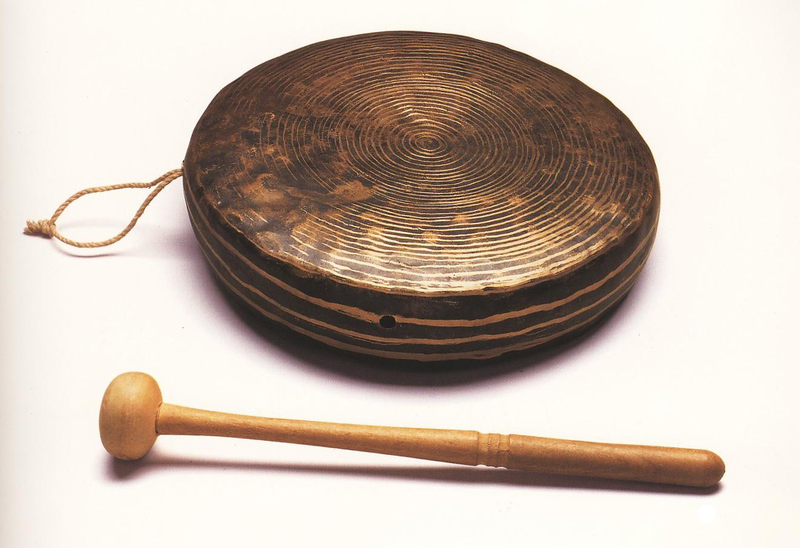 The record is written as follows: “The Kogureou People are good at making brewing dreg, malt, bran, and pickling.” This implies that fermented food was widely used in every day lives. However, no writings of this period mention seasonings or ingredients. Kimchi existed by the latter part of the Koryo period (918 – 1392). Various regions developed their own recipes using different spices according to local tastes. Salt, garlic, and fermented fish paste made up the most common spices and garnishes. The 1700s saw the introduction of red chili peppers to Korea. Red peppers and ground pepper powder quickly became popular ingredients. People began to experiment with new spices and vegetables from other countries. In the cold northern area, saltless kimchi contained a little bit of powdered red pepper and salted fish. In the warmer southern area, people used more powdered red pepper and salt. 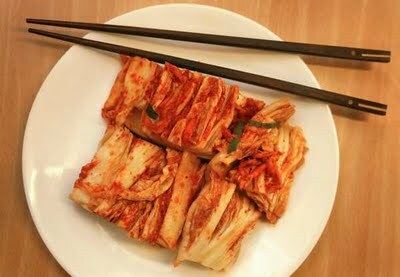 Kimchi continues to be an important part of Korean meals, especially in these days of healthier eating habits. The nutritional value of kimchi has been studied and found to be bursting in vitamins and minerals. As more people around the world turn to healthier eating habits, kimchi finds it way onto more and more tables internationally. Koreans eat so much of this super-spicy condiment (40 pounds of it per person each year) that natives say “kimchi” instead of “cheese” when getting their pictures taken. The reddish fermented cabbage (and sometimes radish) dish—made with a mix of garlic, salt, vinegar, chile peppers, and other spices—is served at every meal, either alone or mixed with rice or noodles. 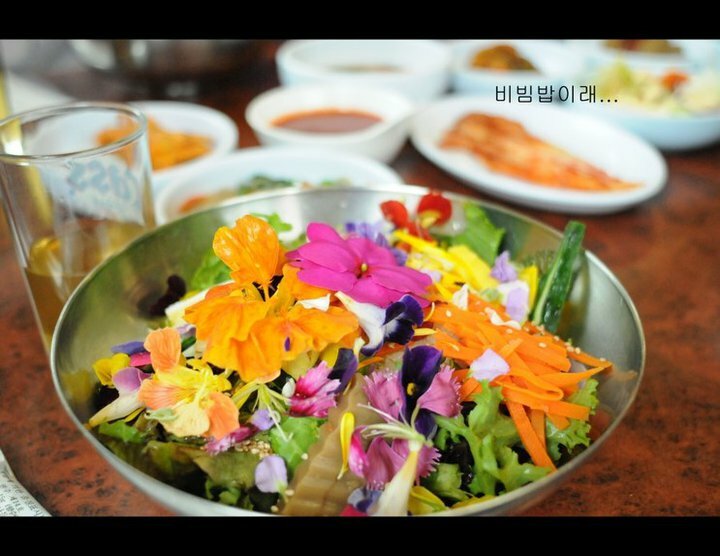 And it’s part of a high-fiber, low-fat diet that has kept obesity at bay in Korea. Kimchi also is used in everything from soups to pancakes, and as a topping on pizza and burgers. Why you should try it? Kimchi (or kimchee) is loaded with vitamins A, B, and C, but its biggest benefit may be in its “healthy bacteria” called lactobacilli, found in fermented foods like kimchi and yogurt. This good bacteria helps with digestion, plus it seems to help stop and even prevent yeast infections, according to a recent study. And more good news: Some studies show fermented cabbage has compounds that may prevent the growth of cancer. What to do with it: There’s no need to make your own; just pick it up in the refrigerated section of your grocery store or an Asian market for around $4 per 32-ounce jar (Sunja’s is one popular brand). You can wake up your morning by scrambling eggs with kimchi, diced tomatoes, and mushrooms. Use it as a wrap filling or to top a baked potato. Or try Spicy Beef and Kimchi Stew, which won our test kitchen’s top rating. Seasoned beef and various seasoned vegetables such as bean sprouts, spinach, crown daisy, bracken, roots of Chinese bellflower, watercress and shiitake mushroom are nicely arranged on the steamed rice. Then, all are mixed with hot pepper soybean paste. 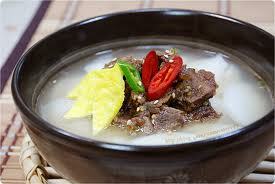 The recipe of Bibimbab is a little bit different according to regions. It surely is an excellent dish a la carte in taste and nutrition.